TruMarx Data Partners Inc. (“TDP”) has a long history of delivering award-winning information and technology services for the commodities industry, with a focus on energy. The current TDP management team was part of the former management team at GlobalView Software Inc. (“GVSI”), from GVSI’s inception in 1995 until 2007. After GVSI was sold, several of the senior management team separated to form TDP. Jon Olson has more than 30 years of experience in energy and commodities market data and software industries. As CEO, he most recently led the start-up, funding and strategic positioning of TruMarx. Prior to this, Jon was CEO of GlobalView Software Inc. and has a storied career delivering high-value solutions for global energy industry customers. 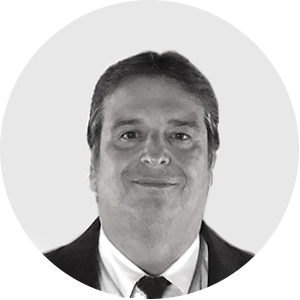 One of the original founders of TruMarx, Mike is responsible for infrastructure and product design, and customer training and support. Before Mike’s tenure at TruMarx, he was responsible for GlobalView Software’s Technical Consulting and Data Services operations, including technical support, implementation, data acquisition, integration and management, and account management. Glenn Smart oversees operations and client support services for TruMarx. With 35+ years of expertise in customer service management, Glenn is accountable for the overall client experience including set-up and training, product demonstrations and support of platform transactional activities. Chuck Reese leads software development for TruMarx and is responsible for the design, implementation and testing of the COMET platform. He has extensive experience with technology and, prior to joining TruMarx, was the Associate Director of Systems Development for a $3 billion multi-strategy hedge fund.